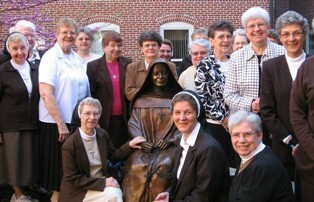 About Us Who are the Bernardine Franciscan Sisters? For over 120 years the Bernardine Franciscan Sisters have answered God’s call to serve His people.Their ministry was to educate immigrants and care for orphans. Later, their commitment expanded to include teaching children in Catholic schools, establishing foreign missions in Brazil, Puerto Rico, Dominican Republic, Liberia and Mozambique in Africa, establishing retreat centers and working in the medical field. Today, they continue to follow in the spirit of St. Francis and Mother Veronica by ministering through social work, immigrant programs, peace and justice service and in parish communities. Recently, they have invited men and women to join them in serving God’s poor by establishing the Volunteers in Mission Program,VIM.